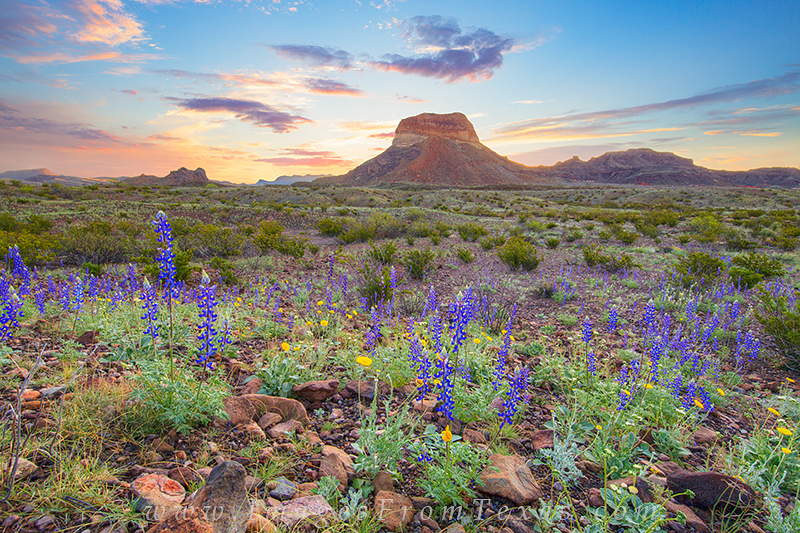 I named this "Home on the Range" because I feel most at peace at times like this - sunrise in a beautiful Texas landscape filled with bluebonnets and other wildflowers. Most prominent in this image is Cerro Castellano woth the peaks of the Chisos Mountains in the distance. I named this "Home on the Range" because I feel most at peace at times like this - sunrise in a beautiful Texas landscape filled with bluebonnets and other wildflowers. Most prominent in this image is Cerro Castellano woth the peaks of the Chisos Mountains in the distance. Photo © copyright by Rob Greebon.